Yesterday, I posted the 2009 Phillies Team Issue Home Run Derby checklist. Here’s the thing about that: it’s another set for which I cannot find any information online. 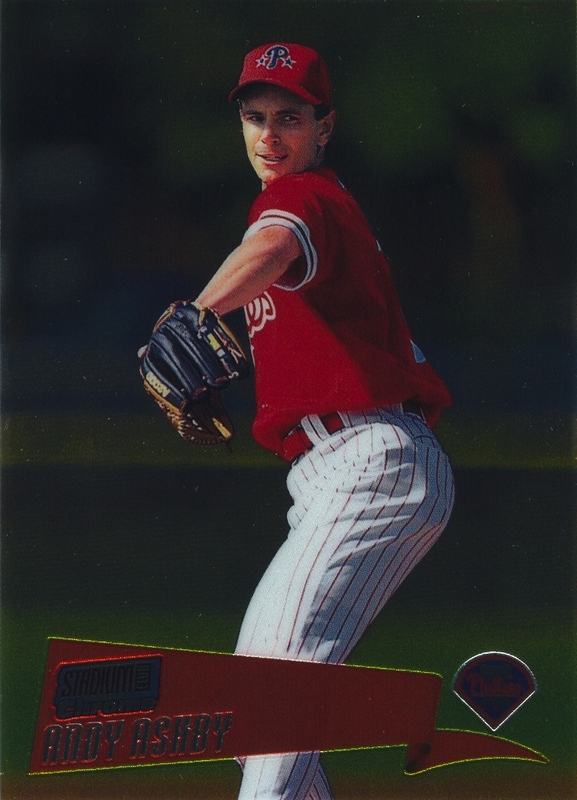 I actually got the Jayson Werth card (the only card that I know is in the set) a month or so ago off of eBay — if you want to pick one up for your collection, other copies are actually still available. Unlike the 2010 Topps Attax Champions card I posted about a few days ago, however, I was able to piece together enough information to confidently include a detailed description of the card when I posted the checklist. I’ve given some more thought to the notion of card collecting as a form of archeology since writing the first part of this post the other night, and it really doesn’t amaze me that there still isn’t a true definitive catalog (paper or online) one can use for identifying all cards. Team and regional issues present the biggest challenge in assembling such a beast. Beckett and SCD rely on collectors to send them this information, but that only works if the collectors diligently provide information on any new sets they encounter and the information they provide can be easily confirmed. I feel fairly safe when I state that I believe that there are probably hundreds of regional issues missing from Beckett’s and/or SCD’s checklists. Another issue is that neither SCD nor Beckett provide sample scans of every set. Yes, the plethora of inserts and parallels out there don’t make this feasible for the old-fashioned paper catalogs, but in the digital age, there’s no space premium. This is the reason why I am attempting to include a sample scan with every checklist posted to the online database — it should be easier than ever to find a sample scan that assists in the identification of the card one is researching. But there’s one other complication that may very well trump all this: inconsistency and differences when referencing and assigning names to sets. For the overwhelming majority of sets, SCD and Beckett concur on the name of the set and how to list it if it’s unnumbered. However, I don’t know if anyone else has noticed yet, but I do not stick solely to either the Beckett or SCD naming conventions for particular sets. I usually just choose the one that I think suits the set better. Furthermore, there are times I use my own naming convention, because I feel that the names SCD and Beckett use do not accurately reflect how someone might try to find a set. I’m going to use an overly simplex example to prove my point: the Fleer Ultra sets. Just about every set incorporates the Fleer name into Ultra logo on the card, which I believe leads to the logical conclusion that the set’s name is “Fleer Ultra.” However, both Beckett and SCD just list the set as “Ultra.” If you type “1991 Fleer Ultra” into the Beckett online database, you get 0 results returned. Similarly, if you try to look up “Fleer Ultra” in the SCD Standard Catalog there is no indication that you need to just look up “Ultra.” Furthermore, there’s no intuitive rhyme or reason behind how SCD and Beckett determine which sets include the manufacturer in the set name and which sets don’t. All this comes back to my It occurs to my assertion that the modern baseball card collector in engaging in a form of archeology. Card collecting involves a lot of research when you find a card from a set you’ve never heard about or seen before. There are a lot of legitimate baseball cards out there that are uncatalogued, just as there are a lot of cards that are vanity/unlicensed issues (without double-checking, I believe Beckett uses the term “collector’s issue”). Part of the challenge in encontering a card that you cannot find any sort of documentation for — which probably happens far more often than any of use would like to admit — is determining its legitimacy and/or ensuring that you’re not just looking in the wrong place for relevant information that is actually out there. 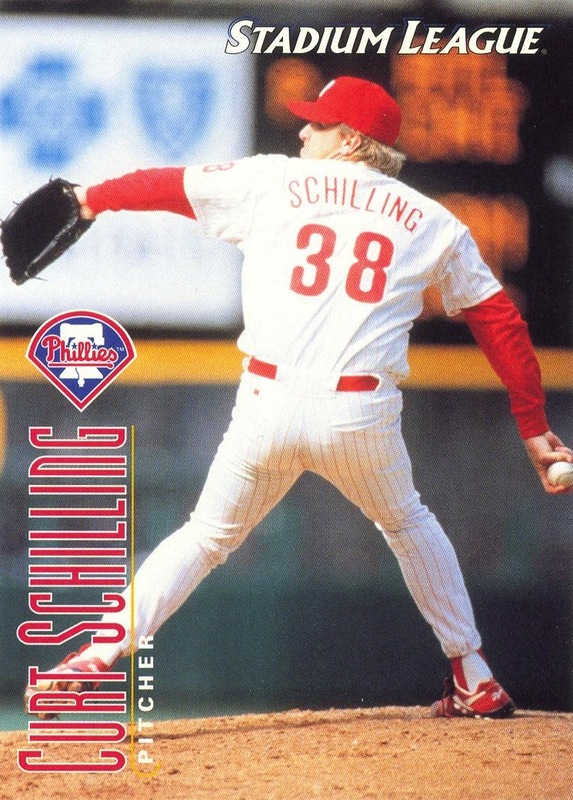 As much as I like the idea of putting together what I hope becomes a key online source of information for Phillies collectibles (and not just a collection of checklists), I don’t know if it can ever be absolutely comprehensive. I just don’t think that anyone can truly properly annotate everything that’s out there. It’s fitting that 2011 Topps Chrome landed in stores and hobby shops last week, given that I planned to make the Chrome brand the next subject in my series of posts about parallel cards. Fittingly, this year’s set brought the introduction of Sepia Refractors, with a serial numbered print run of just 99. Can you feel the excitement! (I really do wish there was a way to properly convey the tone and level of sarcasm placed in that statement.) I guess Topps became bored with just the eight different types of refractors from last year’s set (not to mention the four printing plate 1/1 parallels for each card) and needed to spice things up by horribly muting the colors underneath the ultra-high gloss sheen. My guess is that in a few weeks you can probably get the new Sepia Refractors off of eBay for the price as myriad of other refractors available for the set. The fact that Topps turned the Chrome series into an expensive vehicle for endless parallels provides ample reason to drive team collectors mad, but what makes it worse is that the set is already a parallel set. Starting with the first release of Topps Chrome in 1996, Topps made it very clear that the cards were just very shiny versions of select cards in their regular set. Yes, it was marketed individually and the cards carried different numbers, but for all practical purposes they are parallels — there is no difference in the design or photos in the cards. If that’s all Topps did with the Chrome brand, then for my purposes as a collector, I could’ve easily disregarded and never paid really attention to it. Alas, Topps couldn’t manage that either. In 2000, Topps released its first and only Stadium Club Chrome set. Just like the preceding regular Chrome sets, it was essentially a parallel set. However, for the first time ever, Topps took the time to update the set to reflect off-season transactions. From the standpoint of a Phillies collector, this meant that Mickey Morandini and Alan Ashby were depicted as Phillies in this set, after appearing respectively with the Cubs and Padres in the regular Stadium Club issue. This unprecedented update caught me off guard, and it wasn’t actually until a couple years later that I finally found out this occurred. Oddly, even though the Chrome sets are issued far enough into the season to make these changes, Topps never made them before, and never (at least, to the best of my knowledge and in regards to the Phillies) made them again. I’d like to report that this was an isolated incident. Sadly, no. 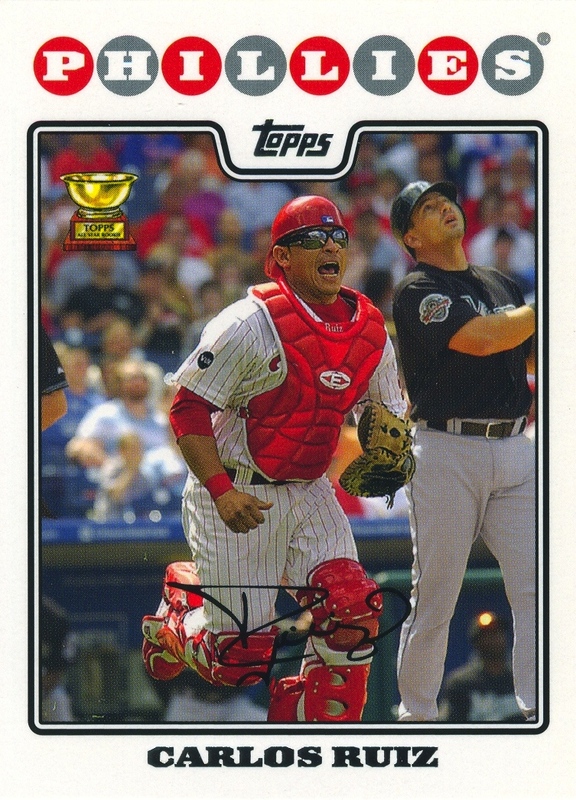 In 2007 Topps once again monkeyed with the Chrome set without much warning. That year, they included J.D. Durbin and Joe Bisenius in the Chrome set, even though they hadn’t appeared in the regular issue set (the rest of the Phillies cards in the Chrome issue were just Chrome versions of their regular cards, as per established Topps procedure). However, the Update set hadn’t come out yet, so it was possible that their cards were just previews of what their Update cards would look like. Well the Update set used a different photo for the Durbin card and Bisenius didn’t appear at all. Now, I understand that Topps needs to cultivate ways to maintain interest in their various brands, but by 2007, they had long established what Chrome was, and monkeying it in this fashion only caused undue confusion as to what to expect. As if they sensed this, the next year Topps decided to use different photos on all the Chrome cards (at least, that was the case with the Phillies cards in the set). 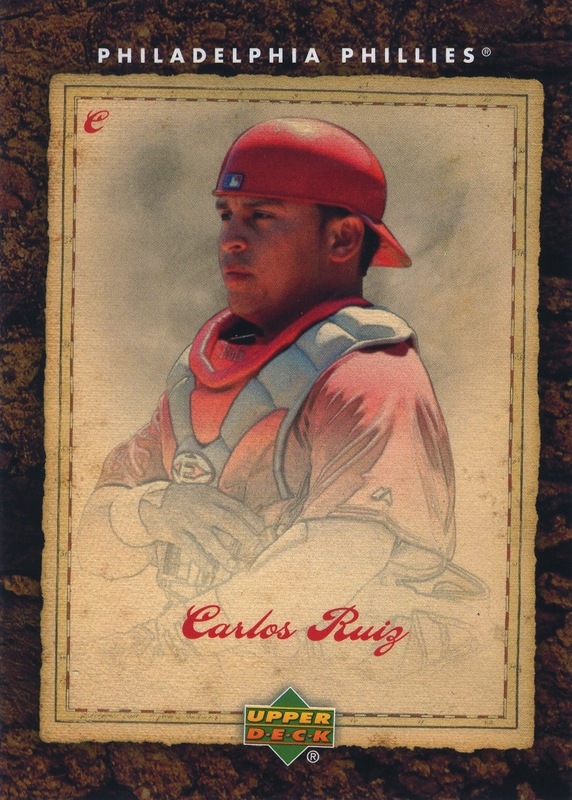 However, in typical Topps fashion, they did it in a half-assed manner and frequently used a photo in the same sequence from which Topps chose for the regular Topps set — the Myers, Rollins and Ruiz cards were all blatant examples of this. If you’re going to use different photos for the entire set, at least use markedly different ones. The following year, Topps inexplicably reverted to reissuing the exact same photos from the base set. 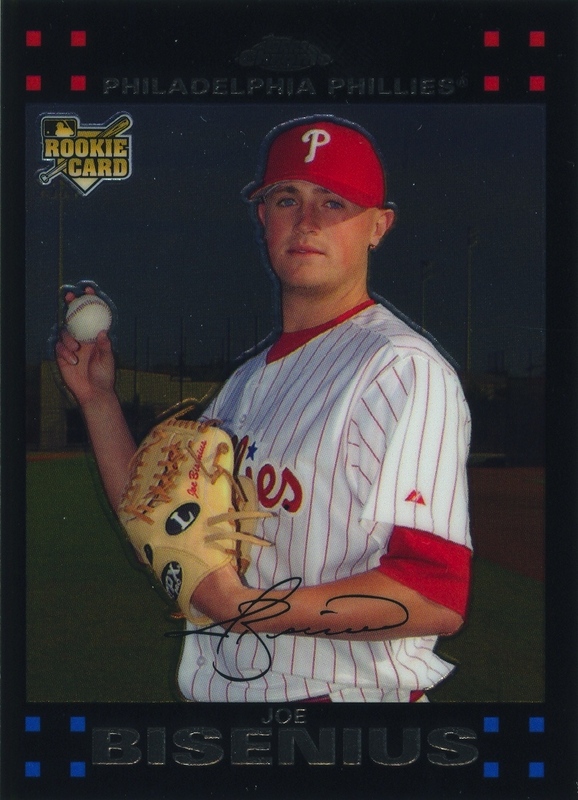 However, a concept they started with their 2005 Topps Chrome set finally arrived for Phillies collectors: certified autograph cards of rookies that had not appeared in the regular Topps set. 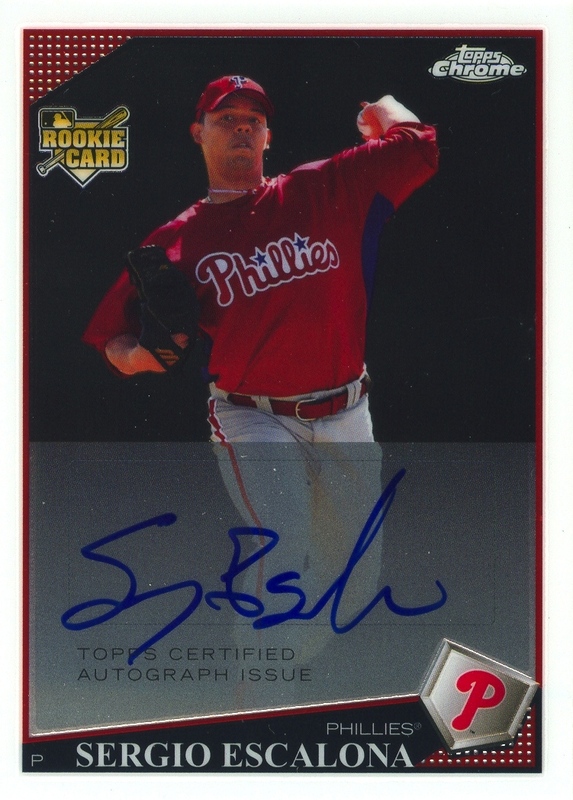 Because I like to collect at least one certified autograph issue for each Phillie who receives one, the fact that Sergio Escalona had such a card in the 2009 Topps Chrome issue was a welcome thing (it is his only Phillies certified autograph issue). However, once again proving that Topps doesn’t want to ever make life easy for team collectors, they repeated what they did with Bisenius the year before, and did not put an Escalona card in the Update set. Now, I understand that everyone cannot appear in the flagship Topps issue — there are just too many players over the course of a major league season to include them all. However — and I now I’m repeating myself again — by now Topps has long established that the Chrome sets are essentially parallels, and by engaging in tricks like this with Escalona and Bisenius, they are ultimately annoying collectors such as myself. The collective parallel assault built even further with the 2010 Topps Chrome issue. No longer content with just creating Chrome versions of the main Topps set, Topps started including as inserts Chrome versions and refractors of cards from its other sets. Suddenly, there were Chrome versions of cards from Topps National Chicle and Topps 206 — sets that were not marketed with or packaged with chrome parallels. Admittedly, I don’t feel the need to get Chrome versions of those cards. However, it does cloud the lines between the sets and probably makes it difficult for future collectors to find information on these cards when they acquire them. 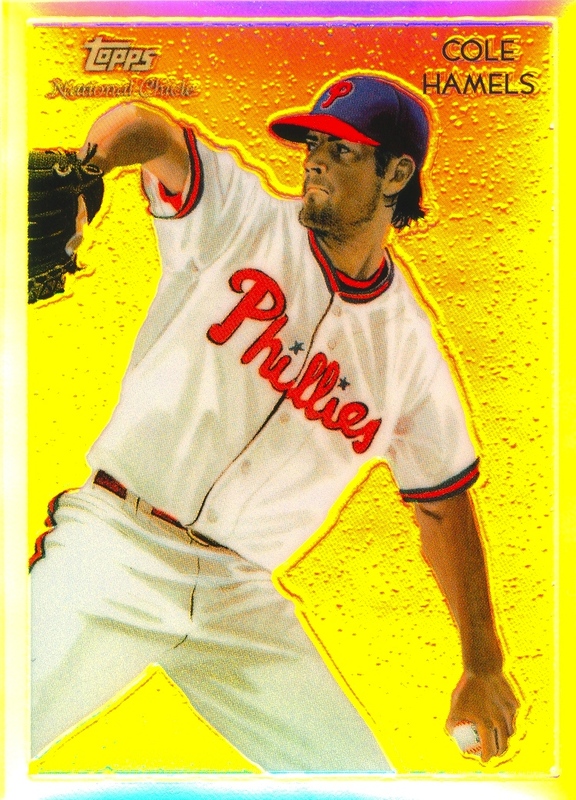 I can imagine a future, relatively new collector finding a 2010 Topps Chrome National Chicle Cole Hamels card and wondering why it isn’t listed in the catalog with the rest of the National Chicle cards. Topps compounded the potential confusion this year by including in the 2011 Chrome set previously unreleased parallels of cards from its Heritage brand — a brand that already contains chrome parallels. Just trying to properly put that into words almost makes me dizzy. Topps’s Chrome issues illustrate a big reason why collecting has lost some of its fun value for me over the years. They are spending inordinate amount of resources printing sets that are essentially 99% the same cards in the regular Topps set. But, if you want to collect just one of each unique card, you still have to pay attention to the Chrome sets just to make sure you’re not missing out on the 1% of the sets that contains cards of players that don’t appear in the regular Topps issue. The chase is only fun when it’s made clear to you what it is you are chasing. Topps does a crappy job of that. MLB supposedly now possesses the right to curtail this behavior — which I feel is predominantly a detriment to the hobby. However, I doubt that will happen. Topps wouldn’t continue with the ridiculous number of parallels if they weren’t making money as a result of it. Sadly, Topps’s greed in this matter doesn’t stop with the Chrome series. My final segment on the parallel madness will appear by the end of the week. I’m well over a week late in making this particular post, but it was one that I just couldn’t let go. Unfortunately, I just couldn’t seem to find the time to get this particular card scanned. Actually, the real problem is that I have so many pet projects lying about the house that I sometimes find myself neglecting one or more of them for weeks at a time while I focus on other items. This situation existed for a long time before starting 14,000 Phillies back in the beginning of May, and I cannot help but wonder what the hell I was thinking when I decided to add yet another item, this blog, to the list of unending tasks that I never seem to gain traction upon. In a way I haven’t fully rationalized, Juan Perez’s perfect 10th inning back on July 8 serves as an unwieldy metaphor for getting a job done as expediently as possible. Yes, he could have gotten three out on three pitches, but that would have required relying on the other players on the field assisting him in making those outs. Striking out the side on just nine pitches means getting the job done with no mistakes, no dawdling or wasted time. However, while you can plan ahead in regards to your task (or inning, in this case), things very rarely work out as smoothly as planned. In fact, they almost never do. This is the reason why Perez is just the second pitcher in nearly 130 years of Phillies baseball to accomplish this particular feat. 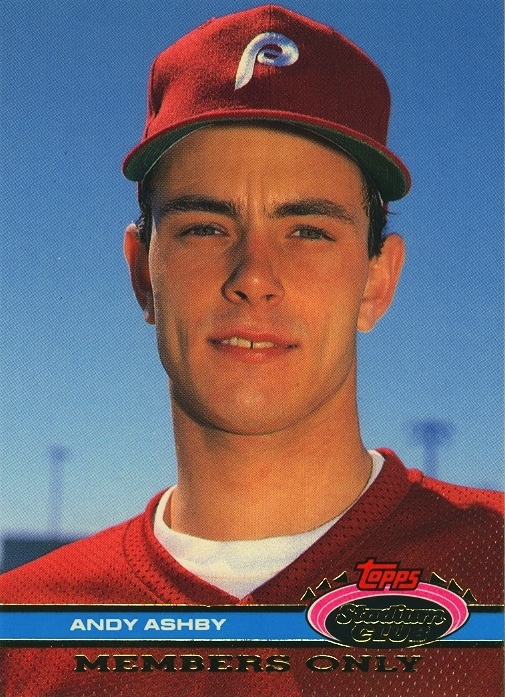 I doubt that Perez will receive a baseball card commemorating the feat, the way Topps honored Andy Ashby for doing so back in 1991. 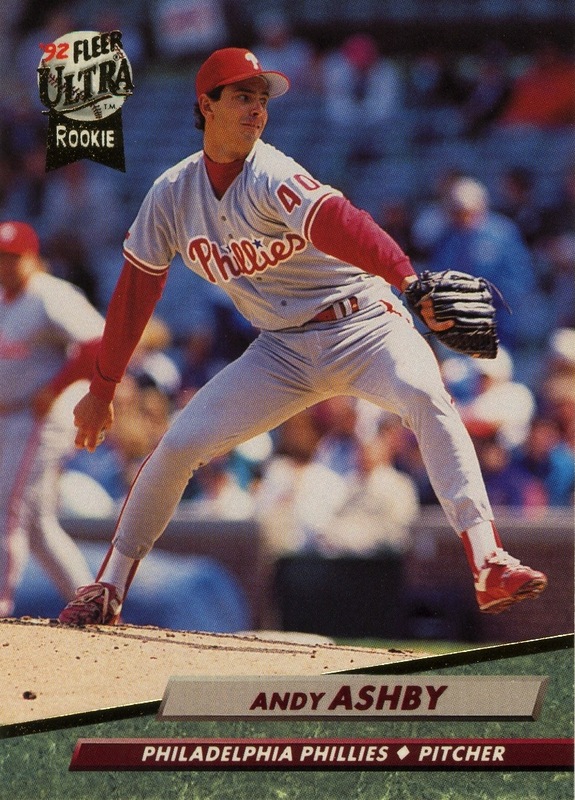 While a lot has changed in the baseball card industry over the past 20 years, the primary difference between the two pitchers is that at the time Andy Ashby was an up-and-coming pitching prospect. 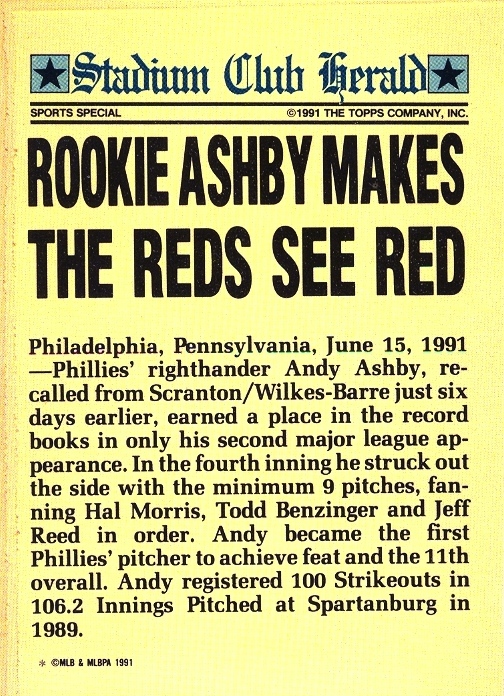 Although Topps was the only company to issue a card solely to celebrate Ashby accomplishment, the fact that he was a rookie probably had a lot to do with their decision to do so. At the time, all the major companies were fixating on getting rookie cards out for everyone who might make the majors and looking for any excuse to issue more of them. Unfortunately for him, Perez — who has been out of the majors since 2007 and is 32-years-old — is no rookie, thus will be lucky to even appear on a Topps card this year. 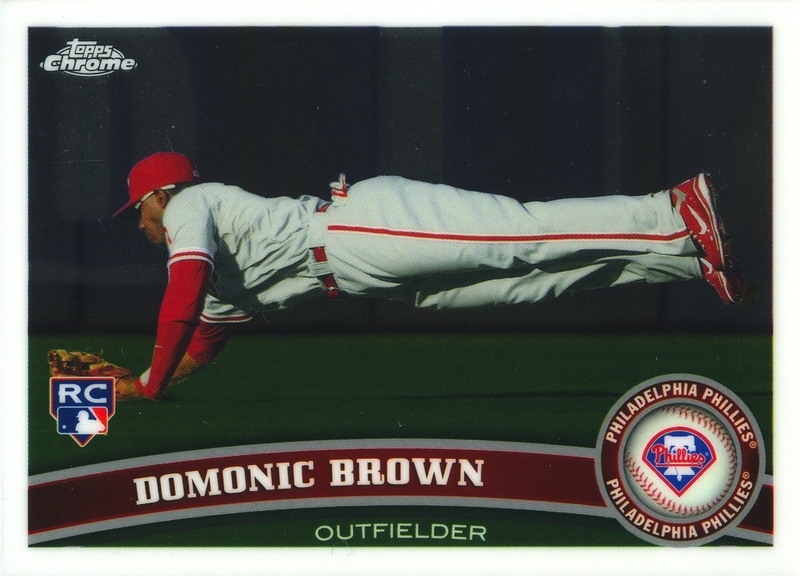 In fact, the only way I see him getting on any cards at all this year is if the Phillies issue an update to their current team set, or (heaven forbid) they issue a third different team set. 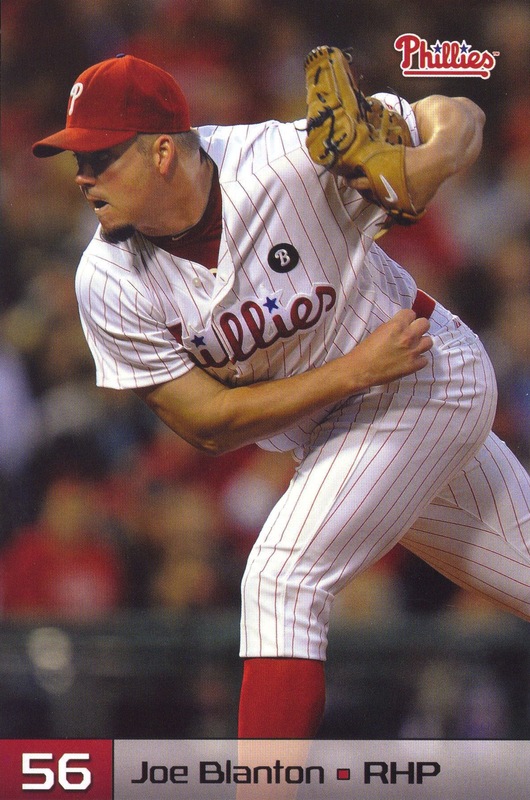 Of course, Perez will actually still need to be with the team should either happenstance occur, and with the team waiting on the return of Ryan Madson and Brad Lidge, the chances of that are incredibly small. Still, for one night in July, he made the best use of his time and did something special. If only we all could be so lucky.